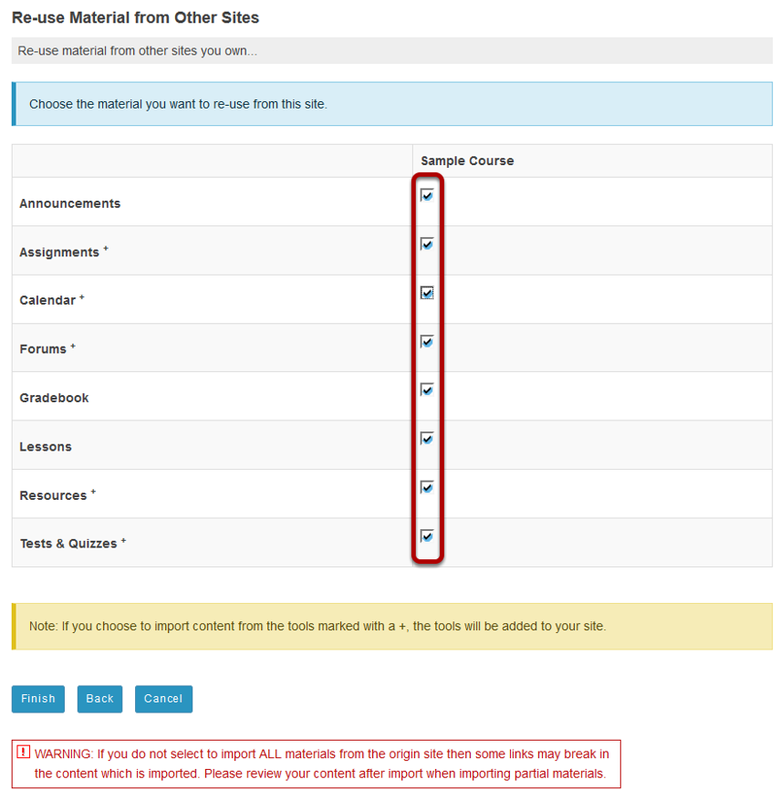 Instructor User Guide Site InfoHow do I copy my content from one site to another? Navigate to the new, empty site where you would like to copy the content. Zoom: Navigate to the new, empty site where you would like to copy the content. 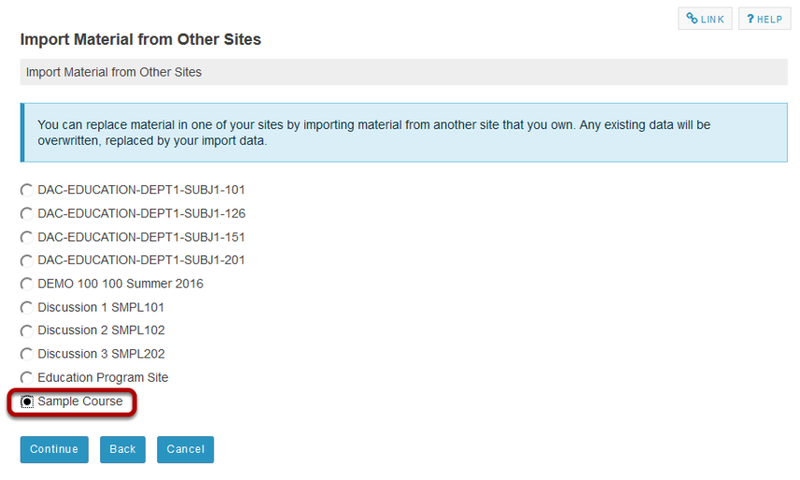 Zoom: Select Import from Site. Zoom: Click the &quot;I would like to replace my data&quot; link. Selecting the option to replace your data will transfer your site content, as well as your Gradebook settings. 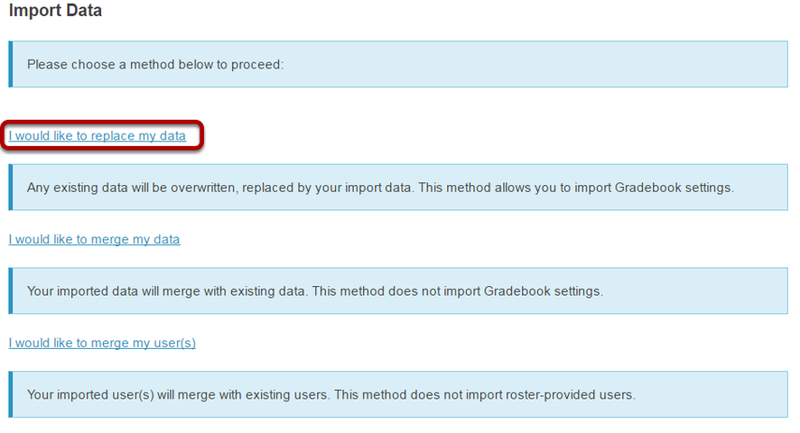 Tip: If you have existing content that you do not want to overwrite, or if you do not want to import Gradebook settings, you could choose the "merge my data" link instead. Zoom: Select the course you want to copy from. Zoom: Choose the material you would like to copy. You may select all of the tools or a subset of tools if you prefer.